A list of the new films being released across the UK, from Friday 4 December 2015. Use the Find Any Film website for details of which cinema nearest you will show these films. 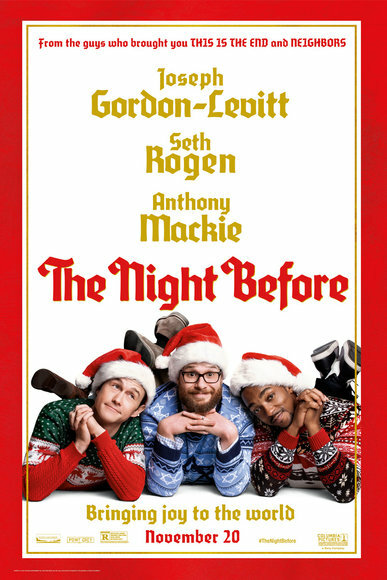 Seth Rogen, Joseph Gordon-Levitt and Anthony Mackie are three friends who annually celebrate Christmas Eve with a big night out. Now that they’re entering adulthood, the tradition is coming to an end, and to make it as memorable as possible, they set out to find the Nutcracka Ball – the Holy Grail of Christmas parties. See the official Sony Pictures page for more, this will have a wide release across the UK, so use Find Any Film for where you can catch it.